Physical infrastructure is a critical enabling factor for a thriving startup ecosystem. Typically, besides physical infrastructure, startups need a conducive environment that facilitates collaboration, cross-fertilisation of ideas, design tinkering, business model fine-tuning and mentorship. 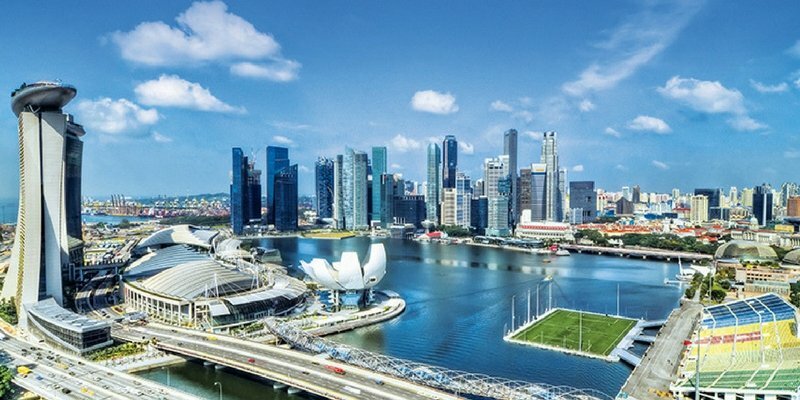 Recognising this need of the startups, the government of Singapore has in place Startup SG Infrastructure – a scheme in which startups are given workspace in an exclusive cluster to develop and mature. The following is an overview of the scheme comprising two facilities namely JTC LaunchPad @ one-north and JTC LaunchPad @ Jurong Innovation District. Officially launched in January 2015, JTC LaunchPad @ one-north is a vibrant 6.5 hectare cluster comprising of startups and enablers in the biomedical sciences, infocomm, media, cleantech, electronics and engineering industries. The presence of research- and innovation-intensive companies, institutes of research and higher learning, incubators, venture capitalists and professional service providers makes it an ideal community where startups can access synergies, collaboration, mentorship and expert insight and support for growth. The proximity of like-minded organizations facilitates networking, partnerships and knowledge sharing that amplifies the growth opportunities for the startups. The LaunchPad @ one-north provides a range of facilities including shared meeting rooms, event halls, sports facilities and a food court. The facility can house up to 1000 startups and 60 incubators. Presently, the rental fees, including service charge, range from S$20 to S$50 per square meter and will be adjusted according to market conditions once every six months. The LaunchPad @ Jurong Innovation District, when completed this year, will provide space to cluster start-ups, incubators and accelerators from the clean technology, advanced manufacturing and engineering industries. 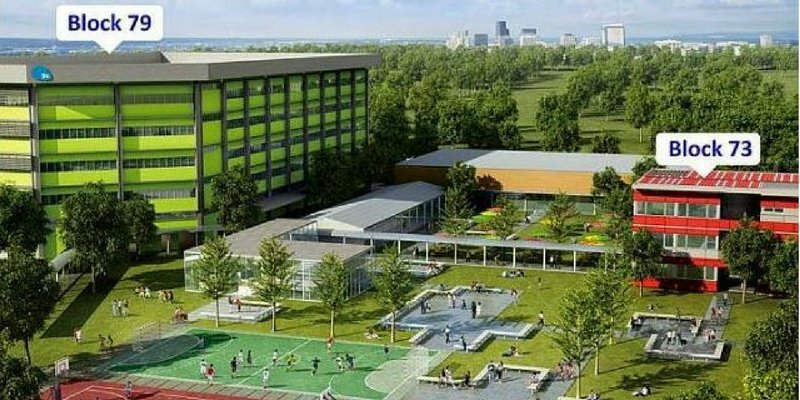 The development will feature a prototyping workshop and production floor that will assist the cleantech, advanced manufacturing and engineering startups to test-bed new innovations. The following are the eligibility requirements to secure a workspace at affordable rental in the startup cluster. The space allotted to incubators will be based on the number of incubates, business plan and the nature of industry that they focus on. The applicants must also be endorsed by one government agency, such as SPRING Singapore, National Research Foundation, Agency for Science, Technology and Research, or IMDA. Even if the applicant is being funded by more than one government agency, it is sufficient to get an endorsement from one agency that could best support the applicant’s business. Companies that are majorly owned by other established companies are deemed to be subsidiaries, regardless of the parent company being foreign or local. Such companies are not eligible to apply. The applicants cannot choose the space but are allotted the space based on their need and demand. For a three-year lease, in case of GIRO payment arrangement, one-month rental must be deposited; otherwise, three months deposit is required. Rent-free period of up to two months is available. Tenants may apply for an extension of tenancy at the end of the three-year tenancy period, if they still fulfill the eligibility requirements. Applicants who are incubators will be evaluated based on their performance and commitment to contribute to the growth of the startups. Tenants who have stayed for five years will have to vacate, as the objective is to accommodate young startups and provide them with access to the knowledge and innovation rich ecosystem. Shared workspaces are an emerging trend among startups but a dedicated cluster like the LaunchPad, that fosters startups within a strong community of enablers, will accelerate the growth of startups. Startups can readily draw talent, resources, referrals, collaboration and partnerships from the immediate community that shares the same wavelength. Singapore is evolving as a preferred startup destination among high-tech companies as well as incubators because of its strong fundamentals that aid research, facilitate development and commercialization with its outstanding test-bedding potential. More importantly, its strong IP regime that also provides concessionary tax rates is highly attractive. Several foreign entrepreneurs and innovators are keen on incorporating their company in Singapore and investors favor their decision because of these favorable factors. The open-door environment and close proximity of knowledge- and innovation-focused entities in the LaunchPad would vigorously catalyze the growth of startups. Ready to form a startup in Singapore?